Back in 2002, a DVD presented my first viewing of the Harry Potter and the Sorcerer’s Stone, and indeed it offered my initial sustained involvement in anything Potter related. Of course, I was well aware of the franchise and had some mild knowledge of its characters and situations. However, my knowledge went nowhere beyond that, so I greeted Stone as a semi-neophyte. For the other newbies out there, here’s the gist of things. At the start of Stone, we see baby Harry get dropped off at the home of his aunt and uncle. For unexplained reasons, his parents can’t care for him, so some mysterious magical folks – who we’ll get to know later – leave him with the Durleys. Straight out of a Roald Dahl novel, they’re a nasty and selfish lot who aspire to do little more than use and abuse poor Harry (Daniel Radcliffe). On the occasion of his 11th birthday, owls start to leave letters for Harry, but cruel Uncle Vernon (Richard Griffiths) goes to extreme measures to make sure the lad doesn’t read them. The senders of the letters represent Hogwarts School of Witchcraft and Wizardry, and they won’t be denied their new pupil. Eventually school assistant Hagrid (Robbie Coltrane) comes to fetch the boy, and Harry quickly learns about his destiny. Apparently Harry’s something of a magical golden boy with spectacular innate powers. Hagrid helps outfit Harry with the appropriate gear and makes sure he takes the train to the school. Along the way, Harry befriends to new recruits, Hermione Granger (Emma Watson) and Ron Weasley (Rupert Grint). She’s a know-it-all perfectionist, while Ron’s a somewhat insecure nerd. After they reach Hogwarts, they end up in the same dorm and gradually get their initiation into this new world of magic. Slowly a plot unfolds, as the kids learn of something called the Sorcerer’s Stone, a token kept deep within Hogwarts. Essentially, the possession of this sucker will help make its user immortal, and some nasties want it for themselves. Ultra-evil Lord Voldemort stands behind these attempts, and the kids suspect that schoolteacher Professor Severus Snape (Alan Rickman) serves as his lackey in this effort. That’s not exactly a remarkable or revolutionary storyline, but it seems acceptable for this flick, though at 152 minutes, Stone appears rather long for something in this genre. Normally I’d expect this sort of fantasy to clock in around 110 minutes, so that extra 40 minutes really could make it run slowly. However, I think the running time feels appropriate because the film requires so much exposition, and Stone boasts a nearly exact split where the first half of the film concentrates almost totally on character and situation introductions. We meet the kids and the school staff and also learn about the academy, the magical powers and tools, and some new vocabulary words like “muggle”. A smidgen of plot appears during the first 75 minutes, but not much. Those moments focus on the establishment of the tone and the participants. From there, things open up more during the second 75 minutes. We still learn a little more about the characters, especially as Harry gets to know more about his parents, and the main kids – Harry, Hermione, and Ron – develop their personalities to a fuller degree. Nonetheless, that part of the flick definitely emphasizes the quest for the Sorcerer’s Stone. I think director Chris Columbus could have integrated the two elements better, as the bifurcated nature of the film seems a little awkward at times. I mean, the change from “character development” to “plot” happens so precisely at the movie’s midpoint that it feels awfully calculated. The flick doesn’t suffer from a terribly rough transition, but I simply think the move could come about in a more natural manner. Still, Columbus had a difficult task, and I feel he handled it fairly well. He needed to satisfy the enormous core audience of Potter-philes as well as gently introduce neophytes into the series’ fairly complicated world. Too much exposition would turn off the former group, while too little would leave the latter crowd confused and disenchanted. I can’t speak for the serious fans, but I know a few, and they all seem pleased with the film, so I think Columbus left most of them happy. As for the newbie audience, I’ll only speak for myself, and I found the level of exposition to be appropriate. The first half of the film could move somewhat slowly at times, but it actually seems surprisingly engaging, as it’s fairly fun to meet the different folks and learn about the academy. Actually, I probably prefer those moments to the more story-oriented ones. Since the film features a pretty unremarkable plot, the second half of the movie appears a little bland and generic at times, so I felt more entertained with the heavier emphasis on characters seen earlier. Stone gets a boost from a strong supporting cast, as the film boasts an exceedingly solid base of adult actors. In addition to the usually excellent Rickman and Coltrane, we find pros like Richard Harris and Maggie Smith in fairly prominent roles, while John Cleese and John Hurt show up in smaller parts. They do just fine in the film. Coltrane becomes the most delightful of the bunch, as he makes the rough-looking and bulky Hagrid consistently charming and amusing. Even though some of his bits should become annoying, Coltrane’s talents make sure that doesn’t occur. For example, Hagrid constantly tells the kids facts that should remain secret, and he then comments that he shouldn’t have done that. The running gag should get old, but Coltrane delivers the lines so winningly that it works throughout the film. As for the kids… well, two out of three ain’t bad. Watson seems appropriately precocious and snippy as Hermione, but she never becomes unlikable, as the young actress nicely walks the line and keeps the character appropriately believable. As Ron, Grint comes across as a likeable nebbish who fits neatly into the best friend mold. Both of these children manage to bring their characters to life in suitable ways. Unfortunately, I feel less wild about Radcliffe as Harry, as he sure looks the part, but he shows almost no personality. That said, I do believe that some of his lifelessness is intentional. The story clearly wants Harry to show growth and additional personality as he becomes more accomplished and confident in subsequent films. Like Luke Skywalker, Harry’s a child of destiny with special gifts. However, Radcliffe simply goes from really bland to a little less bland by the end of the film. When he needs to provide exuberant and charismatic moments – such as during the film’s climax or the Quidditch match – he can’t pull off the appropriate emotion. Radcliffe doesn’t actively hurt the movie, but I think he causes a minor void at its center. A flick’s main character shouldn’t be this bland, though I suppose he fits the mold set by many Disney animated pieces. Speaking of animation, Stone suffers from some weak computer generated imagery. Occasionally the CG looks decent, but anytime it features moving characters, the quality drops badly. The Quidditch game shows the most problems, as it features tons of movement, almost all of which looks fake. In addition, Harry’s fight with the troll suffers from similar movement. Given the budget and the prominence of this film, I find the weak CG to come as a surprise, and it hasn’t aged well. The effects looked iffy in 2001, so they seem especially awkward in 2017. Nonetheless, I think Harry Potter and the Sorcerer’s Stone offers a reasonably enjoyable flick. I came into it with only a little foreknowledge and few real expectations, but I find it to offer a moderately likable and engaging tale. The movie handles gobs of exposition well and provides some decent action. I can’t claim that it moves me to be a part of the legions of Harry lovers, but I find it to be a watchable and entertaining experience. Footnote: as many people know, Stone was retitled for American audiences. In most other places, the film was called Harry Potter and the Philosopher’s Stone. I guess the powers-that-be thought “philosopher” sounded too stuffy for American kids; they need something jazzy like a sorcerer! It’s a dopey change that actually means the two films are slightly different. During this version, we occasionally hear the kids refer to the “sorcerer’s stone”, and these shots clearly aren’t just dubbed versions of the “philosopher” segments. That means the filmmakers needed to shoot two sets of takes for each market, so while I’m sure the scenes are very similar in both cuts, some differences have to occur. The change seems especially odd given the amount of Brit-speak heard during the movie. For example, everyone says “Happy Christmas” instead of “Merry Christmas”, and “boogers” are called “bogies”. However, I understand that those bits are much less minor than the title of the film, so I can see why they stayed when the name changed. It still felt weird, though, to note some variations but not detect these changes. 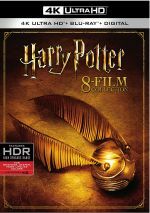 Harry Potter and the Sorcerer’s Stone appears in an aspect ratio of approximately 2.40:1 on this 4K UHD disc. Overall, this turned into a pleasing presentation. For the most part, sharpness seemed very good. A few shots appeared slightly soft, but those connected to the source photography and tended to come from scenes that took place in murky settings such as fog. This left the majority of the image with nice delineation, and I saw no signs of shimmering or jagged edges. The movie lacked edge haloes or print flaws. Stone didn’t boast a dynamic palette, as it favored subdued, earthy hues. Within its design choices, the image brought us warm, full colors that accurately reproduced the source. Blacks seemed dense and dark, while shadows demonstrated nice clarity and smoothness. Stone was never the best-looking film, but the 4K allowed it to prosper as well as I could hope. As for the DTS-X soundtrack of Harry Potter and the Sorcerer’s Stone, it proved highly satisfying. Downconverted to DTS-HD MA 7.1, the soundfield seemed active and involving throughout the movie, as it used all the channels well as it created a lively and engaging environment. Music displayed solid stereo imaging, while effects came from all around the spectrum. Environmental ambience appeared realistic and convincing, while the film’s action sequences came across as vivid. Elements panned neatly from side to side and front to rear, and the surrounds kicked in a fair amount of useful information. The Quidditch match provided the best aspects of the mix, as the game popped to life neatly, but other scenes showed fine involvement from the rears as well. Audio quality appeared positive. Dialogue consistently sounded natural and warm. I heard no concerns related to edginess or intelligibility. Music seemed bright and vibrant, with clear highs and rich low-end response. Effects came across as distinct and accurate, and they also displayed solid dynamic range. Bass response appeared nicely deep and taut, and the track as a whole provided a good piece of work. How did the 4K UHD compare to the Blu-ray version? Audio seemed more immersive, while visuals appeared more precise and smoother, with less murkiness. Due to the source, Stone will never be a great-looking film, but this was a pretty appealing rendition of it. Though the 4K platter includes no extras, the set provides a bonus Blu-ray set with two discs. On Disc One, fans will be most interested to check out the Extended Version of Stone. While the theatrical cut runs 2:32:21, the Extended Version lasts 2:38:50. These are generally entertaining snippets, but they do little to alter the film’s impact. They’re minor enough that they fail to change the movie in a significant way. Stone works about the same in either cut, though the Extended Version is interesting to see as a variation. Also on Blu-ray One, we find an In-Movie Experience. 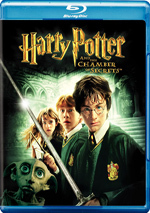 Hosted by director Chris Columbus, this becomes a mix of director commentary, storyboards, and still galleries. Columbus looks at cast and characters, various effects, sets and production design. 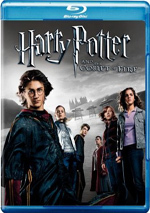 Blu-ray Two replicates a disc from the 2009 “Ultimate Edition”, and an Introduction By Daniel Radcliffe lasts one minute, 54 seconds. The actor tells us what to expect in the Ultimate Edition sets. It’s a painless little clip. Next comes a documentary called Creating the World of Harry Potter, Part 1: The Magic Begins. It runs one hour, two minutes, 47 seconds as it presents comments from Columbus, Heyman, Radcliffe, Kloves, casting director Karen Lindsay-Stewart, production designer Stuart Craig, executive producer Mark Radcliffe, director of photography John Seale, costume designer Judianna Makovsky, special effects makeup artist Nick Dudman, set decorator Stephenie McMillan, film editor Richard Francis-Bruce, visual effects supervisor/second unit director Robert Legato, composer John Williams, and actors Rupert Grint, Emma Watson, Oliver and James Phelps, Robbie Coltrane, Matthew Lewis, Alfie Enoch, Alan Rickman, Tom Felton, Richard Harris, Warwick Davis, Harry Melling, Fiona Shaw, Richard Griffiths, Maggie Smith, Ian Hart, and John Hurt. The show covers the first day of shooting and subsequent variations, cast and performances, production design and locations, challenges related to the involvement of so many young actors, cinematography, costumes and editing, story/adaptation issues, makeup and effects, music and sound, and other memories from the shoot. On the slightly negative side, “Begins” provides a somewhat scattershot, disjointed take on the film’s production, as it doesn’t always follow a logical timeline. For instance, we don’t learn about how Columbus got the gig as director until more than two-thirds of the way into the program. While this gives the program a somewhat strange construction, it compensates with plenty of solid information. We learn quite a lot about the flick and get a nice complement of insights. Despite its flaws, it’s a good show. A Glimpse into the World of Harry Potter fills nine minutes, 15 seconds with notes from Columbus, Heyman, Coltrane, Smith, Hart and Harris. We also hear from Radcliffe, Grint and Watson in character. Created in 2001 to promote the movie, “Glimpse” is utterly devoid of useful information. It’s glossy and fairly pointless other than as an advertisement. Seven Deleted Scenes occupy a total of nine minutes, 36 seconds. These replicate the clips added to the Extended Cut of the film. That makes them fun but inessential. Under Trailers and TV Spots, we find a mix of ads. There are three trailers and 15 TV promos. This offers a good array of clips. As a movie, Harry Potter and the Sorcerer’s Stone works pretty well. I can’t call the flick a classic, but it provides a fair amount of enjoyment for what it does. The 4K UHD boasts very good picture and audio along with a reasonable selection of supplements. 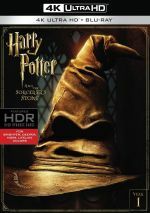 Stone launches the Potter franchise on a largely positive note, and this 4K UHD becomes the best version of it to date.